President Dilma Rousseff bets on the fight against the Zika virus and the microcephaly epidemic as a vaccine to contain the progress of Operation Car Wash investigations on former president Luiz Inácio Lula da Silva. In the opinion of Rousseff aides, the affected image of her predecessor hits the president directly and makes her more vulnerable to the impeachment that although asleep, it has not been buried. She will command the mega-operation scheduled for next Saturday, when 220,000 military officials will take the streets to battle the Aedes aegypti mosquito. Presidential aides heard by Valor recognize that the deconstruction of Mr. Lula’s image spills in Ms. Rousseff, although she has chosen not to make a public defense of her predecessor. “Lula is her political guarantor and of our government,” says an advisor close to President Rousseff. For him, with Mr. Lula weakened politically, the government is further weakened. The Car Wash siege of Mr. Lula has narrowed down in recent days. On the eve of Carnival, Judge Sérgio Moro authorized the Federal Police to open a specific inquiry to investigate the connection of a ranch in Atibaia, São Paulo, visited by the former president, with construction company OAS, one of the targets of the operation. The property is registered in the name of two partners of Fábio Luís Lula da Silva, son of Mr. Lula: Fernando Bittar and Jonas Suassuna, partners at Gamecorp, which renders services to telco Oi. None of them have commented the allegations yet. President Rousseff has not called Mr. Lula neither met with him since the beginning of the bombardment of complaints against him. She only has determined that Chief of Staff Jaques Wagner — the main link between the two — guide Workers’ Party (PT) leaders and allies to defend the former president. The last meeting between Ms. Rousseff and Mr. Lula took place on the February 5, in the Alvorada Palace, and it was brief, so much that he left the official residence without having dinner. In the next day, he would be heard by the Federal Police as witness in Operation Zelotes, which investigates the “sale” of provisional measures (MPs). For presidential aides, even when trying to protect herself from the progress of Operation Car Wash on her political mentor, Ms. Rousseff is missing her most protective shield. At the height of the political crisis, when the opening of impeachment proceedings was still a threat, Mr. Lula landed in Brasília and held a number of meetings with leaders of the Brazilian Democratic Movement Party (PMDB) and allied parties to demobilize the siege against Mr. Rousseff. During PT events, Mr. Lula urged the party’s militants to defend the president and the government. At presidential office Palácio do Planalto, ministers of Rousseff’s inner circle say that there was a retreat in the pro-impeachment offensive in Congress, but warn that it’s too early to declare victory. The government’s debut with a defeat, even partial, at the resumption of activities in Congress, has raised the yellow flag at Palácio do Planalto. 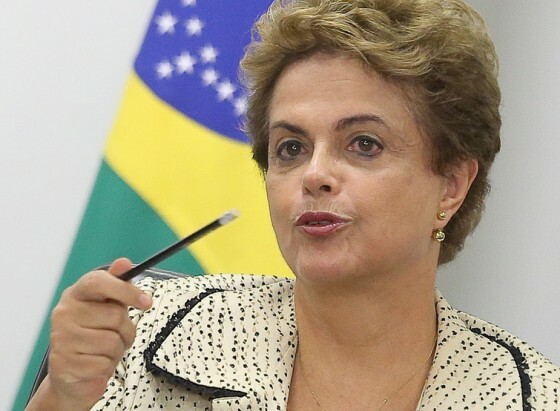 The bad result occurred in the vote of one MP related to the fiscal adjustment, for which Ms. Rousseff made an appeal to lawmakers on the day before, when reading the presidential message. Changes to the text in the MP that raises the tax on capital gains have reduced revenue expectations for federal coffers. The executive branch’s original bill was defeated with 205 votes against 176. “It’s a clear signal of the demobilization in the [allied] base,” a presidential adviser said. As Operation Car Wash closes in the former president, the president seeks to turn the battle against Zika into its main positive agenda. Ms. Rousseff will personally head from Rio de Janeiro a national mobilization of the Army on Saturday against the Aedes aegypti mosquito. The government will send 220,000 soldiers, distributed on 356 municipalities, of which 115 are considered to be endemic, as well as capitals, metropolitan regions and cities with military bases, who will work to eliminate potential sources of the mosquito and raise awareness among the population. In addition to keeping the schedule to deliver, at least once a month, homes of the My House, My Life program. On February 3 Ms. Rousseff inaugurated homes in Indaituba, São Paulo, while ministers delivered homes in five other states. With no means of increasing new concessions or spurring the works of the Growth Acceleration Program (PAC) in the short term, since the top engineering groups in the country are involved in Operation Car Wash, the presidential office has chosen to fight the mosquito Aedes aegypti and the Zika virus as the main strategically positive agenda, able to reverse the president’s low popularity. In recent days, she has focused her agenda to meet with religious leaders, who called for efforts to fight the mosquito, and meetings with ministers on the issue. She also headed a videoconference to divulge the activities of the National Center of Coordination and Control of the Zika virus. While the economy does not recover its breath and Congress does not bury the impeachment, combating the Zika virus and promoting the My House, My Life program will serve as “shields” of Ms. Rousseff against Operation Car Wash. This entry was posted on February 11, 2016 at 11:56 and is filed under Corruption Scandal, Dilma, Impeachment, Lula, Operation Car Wash, waldemarjezler. You can follow any responses to this entry through the RSS 2.0 feed. You can leave a response, or trackback from your own site.